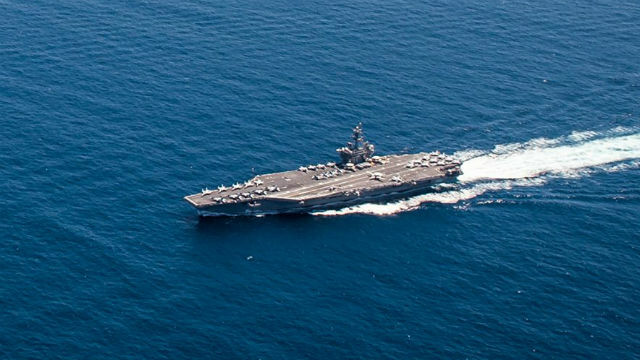 The Nimitz-class aircraft carrier USS Theodore Roosevelt and guided-missile cruiser USS Bunker Hill are scheduled to depart San Diego on Friday for a regularly-scheduled deployment, the Navy announced. The ships will join the destroyers USS Halsey, USS Sampson and USS Preble to form the Theodore Roosevelt Carrier Strike Group. The strike group will deploy with approximately 7,500 sailors and Marines and will focus on maritime security and theater security in both U.S. 7th and 5th Fleet areas of operation in the Pacific and Indian oceans. It will be the first deployment for the nuclear-powered Roosevelt from San Diego since it was transferred here in 2015.